A Multipurpose Pressure Cooker is an electric kitchen appliance designed for automated cooking by using a timer. Such types of cookers are capable of to boiling, simmering, baking, frying, deep frying, grilling, roasting, stewing, steaming and browning food. The cooker is operated by putting the ingredients inside it then selecting the corresponding accessory for that particular cooking technique and then leaving the cooker to cook accordingly without the need for any further user intervention. In addition to cooking variations, a multipurpose cooker may have the functions of keeping food warm, reheating and for cooking any dish later. Some of these types of cookers are also featured to function as slow cookers. In the early days, multipurpose pressure cookers were marketed to the customers as an appliance to save more gas and time. It is obviously a true fact till now with more added featured in the latest models. Simple rice cookers that run using electricity were developed many years before. Over these years, many functions and features are added to make the appliance capable of cooking other cooking process using different ingredients. These traits gave it the name – multipurpose pressure cooker. The modern ones also have time and pressure controllers too. Bringing such a cooker can help you to eliminate other types of appliances like electric kettles, toasters, bread makers, yoghurt makers, grillers, steamers, etc. This appliance performs all the functions of all these kitchen equipments. Multipurpose cookers are meant to be used to prepare hundreds of recipes of different cuisines. Used for making soups, rice, steamed stuffs, broth, cakes, puddings, stew, yoghurt, etc. Used for keeping foods warm. These cookers are capable for keeping foods warm for a long time span. Also used as storage containers. Used for reheating the stored preparations. Used for sterilization that is the baby items can be sterilized in these types of instant pots. Inner bowls: – In all the latest models, the bowls are removable and have non-stick coating mainly of ceramic or Teflon. The non-stick layer does not allow burning and sticking of the ingredients to the inner layers of the container. This prevents the disruption of heat even when the temperature is at the highest point. Lid: – This accessory prevents the ingredients from getting splashed out of the container. Steamer baskets: – Helps to cook steamed dishes. Extremely helpful for those who are health conscious since for steaming just a little amount of oil is enough for large amount of ingredients. Trivet: – This accessory of a multipurpose cooker keeps the steamer basket at a height above the bottom of the cooker that is a little above the liquid level. Cake mould: – This is the part which has made it possible to cook yummy cakes for different occasions in home only without the need to run to the market bakeries. 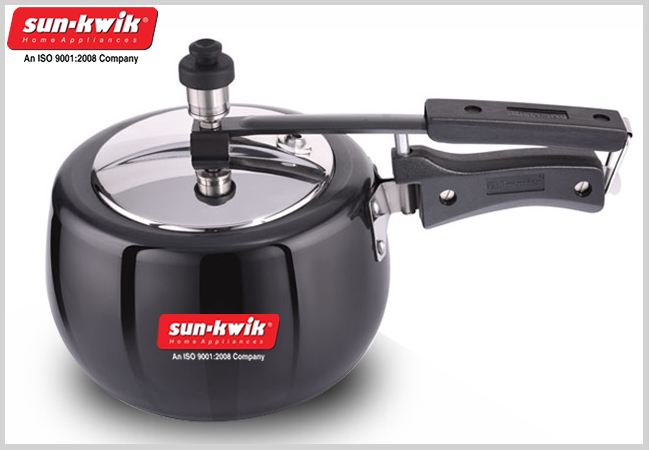 Other than a multipurpose cooker there are many other models and categories of pressure cookers in the online range. Buy Online Pressure Cooker to gift your kitchen the classiest piece in the best price.